Scaling down the focus and moving from state to non-state actors, it’s worthwhile to once more bring up Eritrea’s UNSC-suspected role in supporting Al Shabaab terrorists and the link that this group has with Qatar. Addressing Asmara, it follows that it used (and perhaps still uses) this organization as part of its region-wide proxy war against Addis Ababa, while Doha sees in it a proxy army that could advance its respective ideological and geopolitical aims. Again, there is no smoking gun that links either of these two countries to Al Shabaab without a sliver of reasonable doubt, but the existing arguments and provided evidence are convincingly enough to presume that some sort of connection between them did and likely still exists to a certain extent. 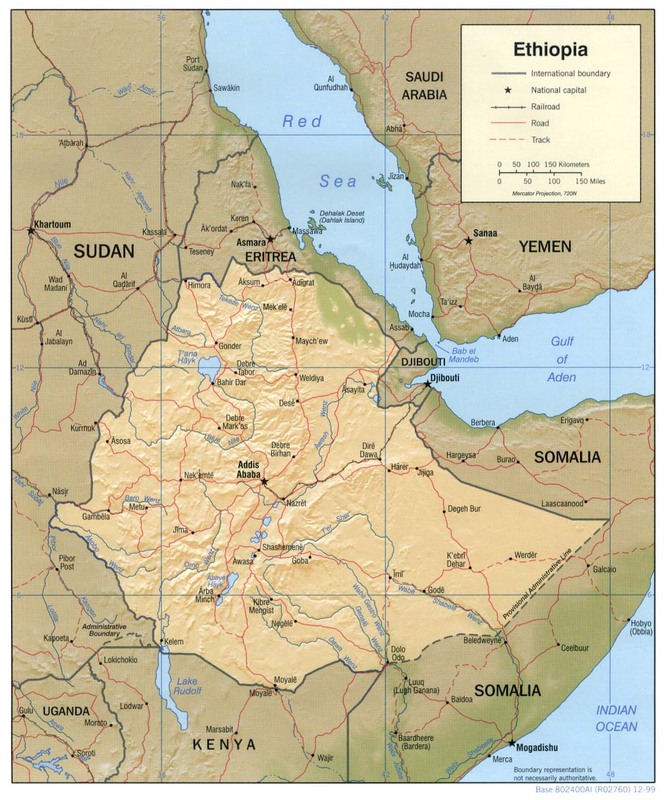 From here, the analysis can thus proceed to the incorporation of non-state actors as agents of certain states’ geopolitical faculty, which thereby returns the focus to the regional federalized statelets and the interaction that states have with them and their respective militias (whether friendly such as the UAE and Somaliland or hostile such as during Kenya’s incursions into Jubaland). In accordance with the tenets of Identity Federalism that the author has written about before and periodically cited throughout the book, it’s expected that foreign states will intensify their state-to-non-state diplomatic interactions within Identity Federalized countries such as Somalia, and given the examined country’s geopolitical significance to global politics, it’s assumed that this will accelerate in the near and medium terms and usher in a competitive Scramble for Somalia. The renegade terrorist group would certainly succeed in prompting one, if not several, military interventions if it succeeds in gaining more prominence and power. For starters, Ethiopia would almost certainly intervene to a limited or all-out extent in order to prevent its Somali Region (formerly called Ogaden) from falling victim to the ideological contagion being spread by Al Shabaab. Kenya, too, would be compelled to do something similar vis-à-vis Jubaland, both to protect its own interests and also out of the regional leadership competition that’s playing out between it and Ethiopia. Nairobi would not want to strategically ‘cede’ any square inch of its envisioned sphere of influence in southwestern Somalia to Ethiopia, the latter of which might broaden any forthcoming intervention to include that area as well. The African Union would likely get involved too, although its inner political mechanisms might prevent it from taking as immediate and resolute of a decision as either Ethiopia or Kenya, therefore making it the third most likely participant to directly militarily intervene, or in the case that it’s still present in the country at the time of this scenario (which is all but assured), beef up its forces prior to a robust offensive campaign. 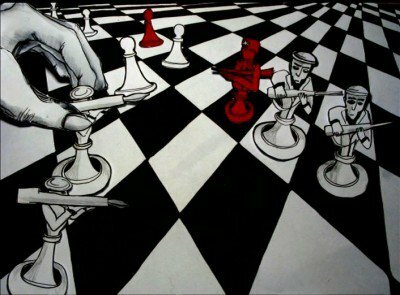 It can also be assumed that the US would play a Lead From Behind role via selected air/drone strikes, special forces incursions, and a strategic advisory to one, some, or all of the intervening militaries. 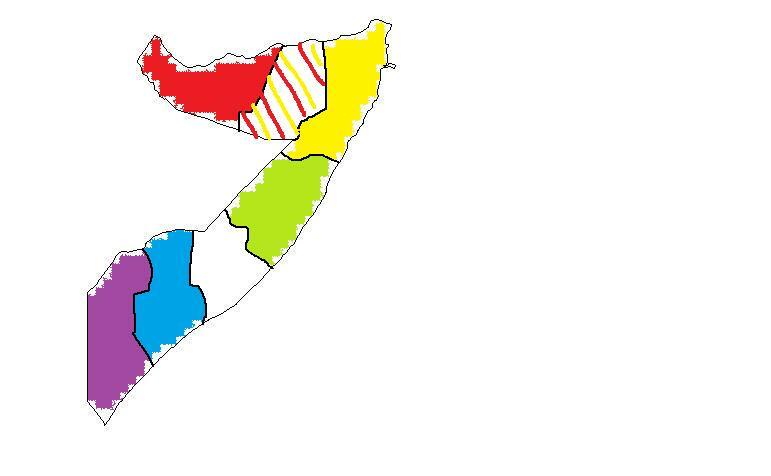 In the advent of a breakdown in state authority, probably triggered by a Color Revolution and latent Hybrid War push by the unipolar Djiboutian-based intelligence units, it’s likely that the country might split into violently bickering identity groups along traditional ethnic-clan lines. Demographicallyspeaking, around 60% of the country is populated by the ethnic-Somali Issa clan, whereas roughly 35% is inhabited by the Afar, a transnational group of people whose territory spreads out across Djibouti, Eritrea, and Ethiopia (the latter of which has granted them a geographically broad federal state). It’s also important to note at this point that the former French colony in modern-day Djibouti was called the French Territory of the Afars and Issas in the 1967-1977 period immediately preceding independence, emphasizing the role that both people have played in the country for at least the past half century (if not obviously longer). Tensions between the two sides reached a violent climax in the 1991-1994 Djiboutian Civil War which saw Afar rebels fighting against the Somali-Issa government, but in the end the authorities and their numerically larger ethnic constituents prevailed and ethnic Somali/Issa clansman President Guelleh was elected in 1999. Out of all of the Ethiopian-originated groups that Eritrea supports, perhaps the most strategically affiliated are the Tigray People’s Democratic Movement (TPDM) which even the UN has accusedAsmara of assisting. While all insurgent organizations are destabilizing to various extents, there exists a certain strategic symbiosis between the Eritrean government and the TPDM, largely stemming from the transnational state of ethnic Tigrayans between Ethiopia and Eritrea. 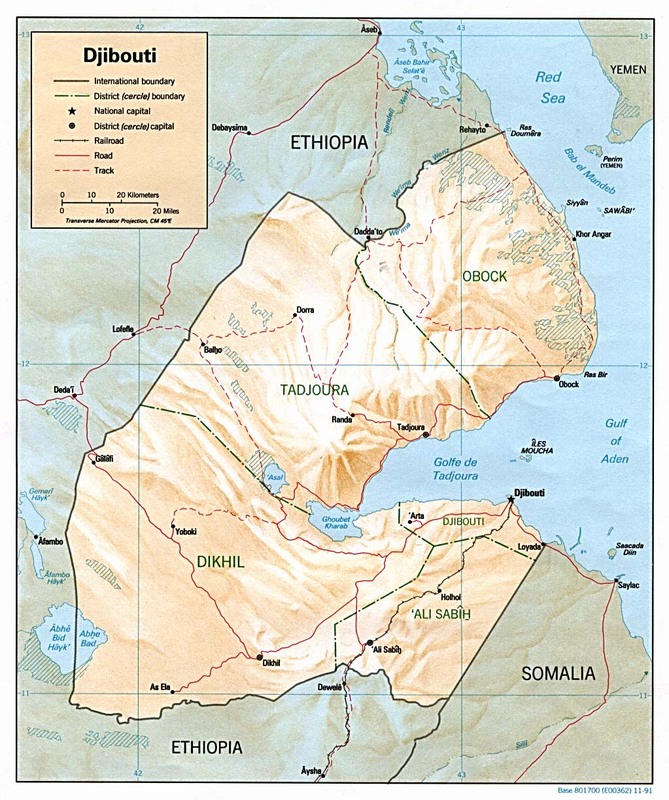 In the Red Sea state, Tigrayans are estimated by the CIA World Factbook to comprise a whopping 55% of the population, while in Ethiopia, where they have their own ethnic-based federal state, the same source lists them as being just 6.1% of the nation’s total, though it should be underscored that this means that there are almost two times as many Tigrayans by number inside of Ethiopia than in Eritrea. Also, the percentage figures don’t properly indicate the inverse importance that Tigrayans have played in recent Ethiopian history because the Tigrayan People’s Liberation Front (TPLF) was the main driver of the anti-Derg resistance organization at the end of the Ethiopian Civil War and is speculated to be the most important component of the present-day governing Ethiopian People’s Revolutionary Democratic Front (EPRDF). The first one, to refer to what was touched upon previously, is the government’s policy of forced and indefinite military drafting of some of its citizens. It’s not the author’s place to comment on whether the “refugees” that “flee” from this policy are traitorous turncoats or future-focused opportunists, but it’s undeniable that the forced and indefinite draft is the reason why a substantial amount of people are leaving the country to never return. The other reason that needs to be mentioned alongside the same vein as the prior one is that European countries have a complementary and facilitative policy to this whereby they granted some sort of “protection status” to Eritreans between 91% and 93% of the timeon average. Undoubtedly, this almost guaranteed assurance that all Eritreans have of being given “refugee” or other “protection” status in the EU serves as a very powerful pull factor in magnetizing the high rates of out-migration from their country. Regardless of what the given push or pull factor may be, the UN refugee agency’s 2015 estimate that nearly 400,000 have left the country of slightly over 6 million people over the past 6 years speaks to the magnitude of impact that the West’s “Weapons of Mass Migration” policy has had on Eritrea. None of the parties acknowledge the UN’s report about their alleged military relationship, probably because of the sensitivity that’s involved due to the GCC’s much-needed strategic agriculturalrelations with Ethiopia, but that doesn’t take away from the very real military-strategic impact that they can have on the long-term stability of the region. If Eritrea decides on its own to go to war with Ethiopia or is pressed to do so by the US as a condition for the lessening of “Weapons of Mass Migration” pressure on the country, then if Asmara retains its nascent ties with its new GCC allies (and there’s no indication that it would willingly return to “rogue state” isolation and reject the monetary advances of its new ‘friends’), it will likely bring them into the fray as well. Qatar and possibly even Saudi Arabia by that time might have a very real interest in offsetting Ethiopia’s rise and tangentially obstructing China’s One Belt One Road geostrategic multipolar project in the Horn of Africa, which ultimately accords to the US’ grand strategy as well. As it stands, Ethiopia and Eritrea are relatively evenly matched, and this state of affairs has retained the cold and tense ‘peace’ between them since their latest large-scale conventional war in 1998-2000, but the insertion of GCC military-strategic capabilities into the equation on Eritrea’s side could dramatically upset the established balance and quickly turn the tables on Ethiopia. The EPRDF’s centralized federal system that’s actively practiced in Ethiopia is under threat by two complementary Hybrid War forces that regularly conspire against it and which can by theoretical definition be divided into their constituent Color Revolution and Unconventional Warfare components, however, the country’s circumstances are such that there is more often than not a strategic-tactical blurring between these two parts. For example, the Ginbot 7 “opposition group” is regularly presentedto Western audiences in a favorable light but is in reality a self-described “armed” organization, or in other words, a domestic regime change terrorist network that is also suspected of having ties with Eritrea. What would otherwise be a purely Color Revolution vanguard group had it not self-described itself as “armed” and admitted to taking up weapons to violently overthrow the government is in reality a doubly dangerous organization, in that it functions as a ‘publicly presentable’ international face for the anti-government ‘protest’ movement but also simultaneously carries out very clear Unconventional Warfare goals. Being the closest that Ethiopia has ever come to having a leading Color Revolution organization yet not tactically ‘pure’ enough to fully be described as one owing to its stated terrorist agenda, it can be generalized that the regime change conspirators have conclusively decided that all anti-government groups must have some sort of Unconventional Warfare attributes in order to immediately transition into Hybrid War battle mode at a split second’s notice.